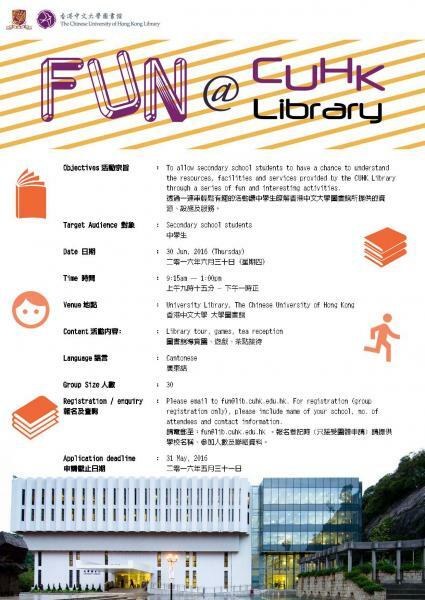 To allow secondary school students to have a chance to understand the resources, facilities and services provided by the CUHK Library through a series of fun and interesting activities. Please email to fun@lib.cuhk.edu.hk. For registration (group registration only), please include name of your school, no. of attendees and contact information.